Google have launched its first of its kind Cr-48 Chrome Notebook. 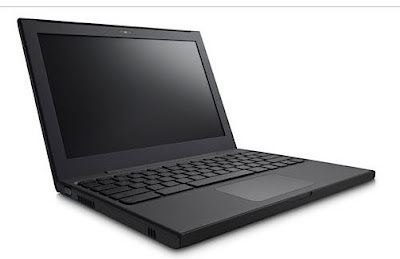 The Cr-48 Chrome Notebook is the test notebook designed for the Pilot program by Google. Google will distribute the laptop through its Chrome OS Pilot Program, in a sort of public beta. You actually have to apply to join the program, and there are going to be a limited number of the laptops available. 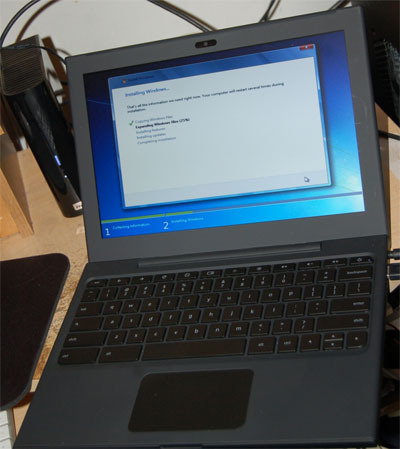 Chrome Cr-48 Laptops not only runs Chrome OS, but also it can runs Mac OS X and Windows 7 too. But it’s not Google who is officially providing these OS to run in Cr-48 because Mac OS X Snow Leopard and Windows 7 probably weren’t in Google's plan of an open development strategy for device. Two accomplishments came within rather a close period of each other, one Cr-48 was hacked to run Mac OS X Snow Leopard 10.6.5 and the other uses Windows 7. Both hacks require flashing modified BIOS on the Cr-48's. On the Insanely Mac forums, damis648 who writes a guide on how to put Mac OS X on your Cr-48, explaining the reason for needing the modified BIOS is due to the fact that the BIOS the Cr-48 ships with works differently than both the legacy BIOS and standard EFI.